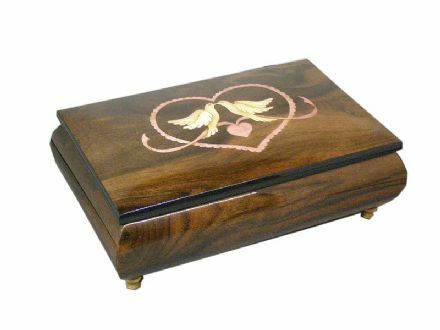 A beautiful musical jewellery box with mosaic banding. 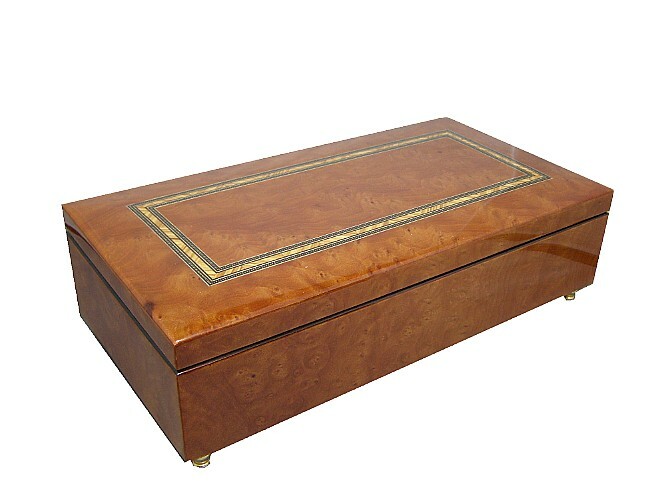 This musical jewellery box is hand made, finished in a gloss lacquer. 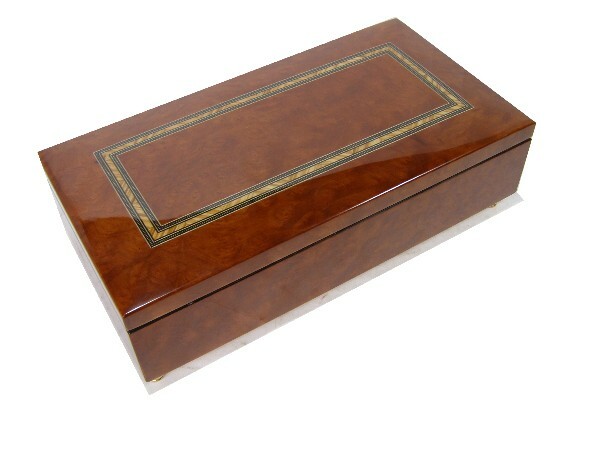 The marquetry set into the lid is a mosaic banding design. Approx Size :245mm x 128mm x 70mm.